The prime function of SM812, is to provide intelligent supervision of a controller during non-SIL and SIL1-2 operations, and together with a PM867 form a 1oo2 diverse structure for SIL3 applications. For high availability applications it is possible to have redundant SM812´s that work together with any of the two redundant CPUs. SM812 has a dedicated synchronization link to synchronize active and redundant SM for hot-insert and online upgrade. It is needed during hot-insert and on-line upgrade situations to copy data between two SM812s in a redundant setup. 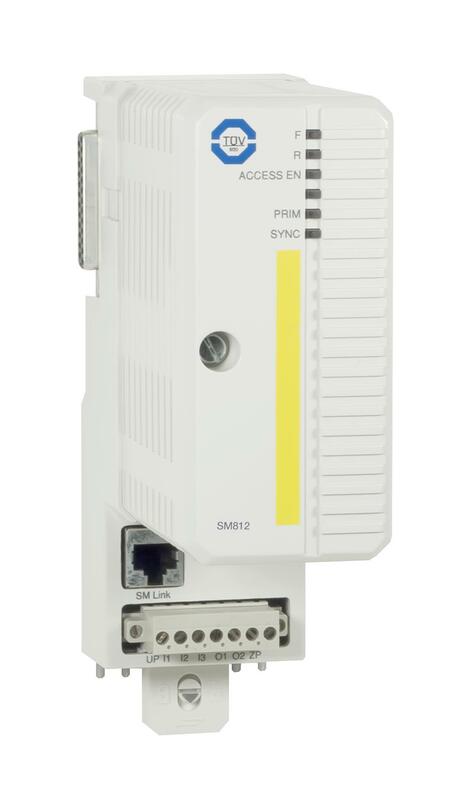 The SM812 has a connector with three digital inputs and two digital outputs that can be used for safety related digital I/O (not process I/O).